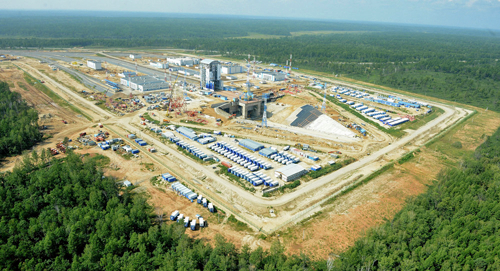 Via a TASS news release, the third launch from Russia’s newest Vostochny space center in the Far East is now scheduled for December, according to Russian Deputy Prime Minister Dmitry Rogozin during a meeting to discuss the project’s construction on Wednesday. "We have the schedule and we assume that the dates will remain unchanged — November 28 and December 22," he said. The head of the Roscosmos State Space Corporation, Igor Komarov, said earlier that two space launches were expected to be conducted from the Vostochny Cosmodrome in December 2017. The first launch from the new Russian spaceport was performed in late April 2016, when a Soyuz-2.1a carrier rocket delivered three satellites to orbit.